Something that a few years ago seemed impossible will finally happen. BlackBerry Priv, the Canadian manufacturer’s first Android smartphone, was officially confirmed and it seems like a pretty powerful device. The phone will features a 5.4″ display, with a QHD resolution of 1440 x 2560 pixels, while under the hood it will sport Qualcomm’s Snapdragon 808 chipset, with a hexa-core CPU, Adreno 418 GPU and 3 GB of RAM. That looks like a pretty good camera! The camera department will also be one of BlackBerry Priv’s solid points, with a 18 MP rear camera, using Schiender-Kreuznach optics and optical image stabilization, while on the front, it has a 5 MP selfie unit. Finally, the operating system of choice will be Google’s Android 5.1 Lollipop. Of course, the specs weren’t officially confirmed, but we’re pretty sure that the final spec sheet won’t be far from this. But it’s the price we’re very interested in. 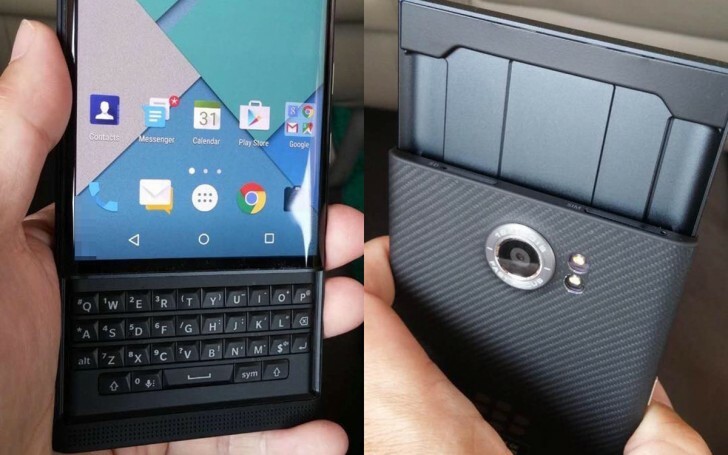 According to PC Mag, the new BlackBerry Priv will be sold in China for 3999 Yuan, which is about $630. This is far from being accessible, being very close to Apple’s latest iPhone 6S, unlocked. Considering this, we expect to see a high quality or even premium build, but if you’re planning to actually buy the BlackBerry Priv, you might have a little surprise. The same source mentions that a couple of users, who already got their hands on some so-called preproduction units, claim that the keyboard feels ‘sturdy’, while the gap between the keyboard and the actual body tends to accumulate dust and dirt. On the other side, the QHD display seems to be very good, offering an image quality similar to LG G4. Well, that’s a good start, if you ask us. The BlackBerry Priv is almost ready to be launch, but some software tweaks could be made before it hits the market.